Teshekpuk Lake teems with birds in the spring and summer, included brant. Photo by Tim Bowman, FWS. The Interior Department couldn’t protect national parks from vandals during the government shutdown, but it managed to fund meetings for its Arctic drilling agenda. Speak out now to help save the Western Arctic. The administration wants to allow more fossil fuel exploitation by developing a new management plan (called an Integrated Activity Plan, or IAP) for the Western Arctic, or National Petroleum Reserve-Alaska. The new IAP would potentially open protected areas like Teshekpuk Lake to drilling. Doing so would undermine existing protections for wetlands, coastal areas, and wildlife habitat in the Western Arctic. Caribou calves in the Western Arctic. Photo by Patrick Endres. The current IAP, finalized in 2013 after an extensive public process and assessment of science, includes protections for five Special Areas — Teshekpuk Lake, the Colville River, the Utukok River Uplands, Kasegaluk Lagoon, and Peard Bay. 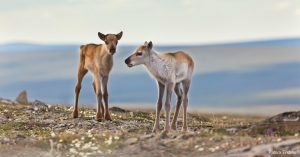 They provide calving grounds for the Teshekpuk Lake and Western Arctic caribou herds, which are key subsistence resources for numerous communities on the North Slope. They support millions of shorebirds. They supply denning sites for polar bears. 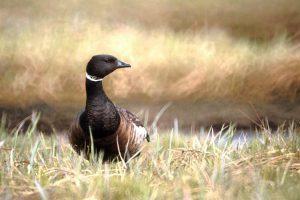 They sustain wetlands, breeding grounds, and nesting areas essential to millions of fish, mammals and birds. The Trump administration wants to undo the current plan and replace it with one that opens these areas and threatens Arctic animals, habitat and people for the sole purpose of serving the profit interests of Outside corporations. Despite requests to extend the public comment period and reschedule public meetings because of the government shutdown, the Bureau of Land Management has set a Jan. 22 deadline for public comments. We urge you to comment now. You can participate through the Alaska Wilderness League, Audubon, and American Rivers action pages, or by going to BLM online, or via email.